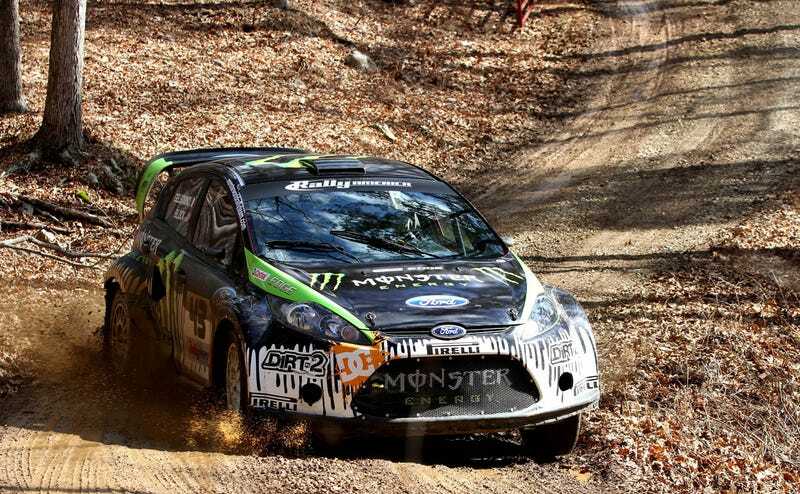 After a DNF at the Rally American season opener, Ken Block's aiming to win his fifth 100 Acre Woods Rally this weekend behind the wheel of his Ford Fiesta rally car. If only band practice had been this fun. You can see Block and his navigator Alex Gelsmino shaking down the new Fiesta at a ranch near the 100 Acre Woods course in the video below. We're gonna guess driving over muddy gravel is a little different than sliding across ice and snow.